Golden Star restaurant on the corner of Carson St. and Cherry Ave. was the site of a bizarre accident mid-day Monday when a 63 year-old woman drove her car over the sidewalk and through the restaurant’s brick exterior, lodging the vehicle inside of the establishment’s kitchen and cooler section. The accident occurred at just before noon, moments after another incident involving the same driver occurred a few blocks away. 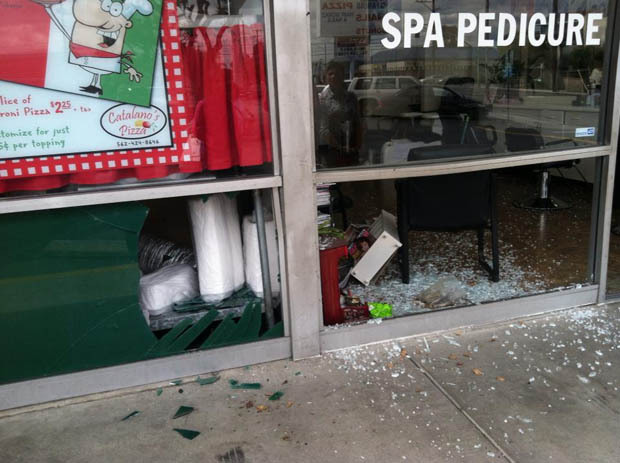 According to Long Beach Police Department spokeswoman Nancy Pratt, the Westminster resident first attempted to park her vehicle in the parking lot of a strip mall located on the southwest corner of Carson Street and Orange Avenue, when she jumped the parking block and struck the storefronts. She then backed up and fled the parking lot, travelling east on Carson Street at a high rate of speed before losing control and colliding with Golden Star on the northeast corner of Carson and Cherry, Pratt said. Long Beach Fire Department responded to the scene and, according to firefighter Will Nash, extricated the driver from the vehicle by cutting away the wall and removing the car’s roof. “The single driver received minor injuries, though she appeared altered,” Nash said. “‘Altered’ can mean that she had low blood sugar or a stroke or something medical.” The driver was transported to a local hospital. It is unknown if drugs or alcohol were involved. 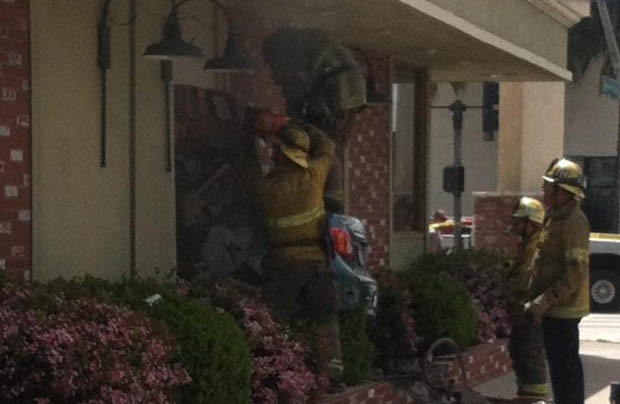 No one inside the restaurant was injured, but the structure did sustain considerable damage. No injuries were reported at the Carson & Orange location either, though the building sustained minor damage. “The driver could be facing charges of hit and run pending the outcome of the investigation,” Pratt said.